Cannabis Wealth App is a new CFD trading software that was released on January 13th 2019. They claim you will make huge profits of thousands of dollars per day, however the truth shows otherwise. The people who created Cannabis Wealth App, also created the popular scams called Crypto Revolt and Weed Millionaire. If you are looking for the original software, Go to TheCannabisWealth.com. Don’t Invest With a Scam Software, read why. The reason why “Cannabis Wealth” is actually a total scam software, has to do with the false claims they make about how you will get rich fast. They display on their website cannabiswealthapp.com, that “With Cannabis Wealth for just six months and I’ve already made 18x profits”. Problem is, the software is only been around for a week, so that must be a fake testimonials. You can do a Google search for Jacob Walters, and you will not find such a person. It is just a fictitious character. 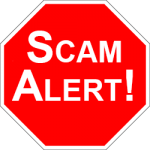 The goal of their video, is to get you to open a trading account at an unlicensed scam broker. Every real investor or day trader knows, that to make money trading the movements of price on an stock like Tilray or Aurora, you need to be at your computer 12 hours a day! Take a look at the popular CFD trading robots, and try out software that integrates with authorized and regulated Forex brokers, See Here. A real automated trading software is supposed to be based on technical indicators and generate trade alerts and place trade for your account. When we signed up for the software, they simply ask you to deposit money into the brokerage account. There is no ability to see the actual software, how it works, or if there are any settings for it. 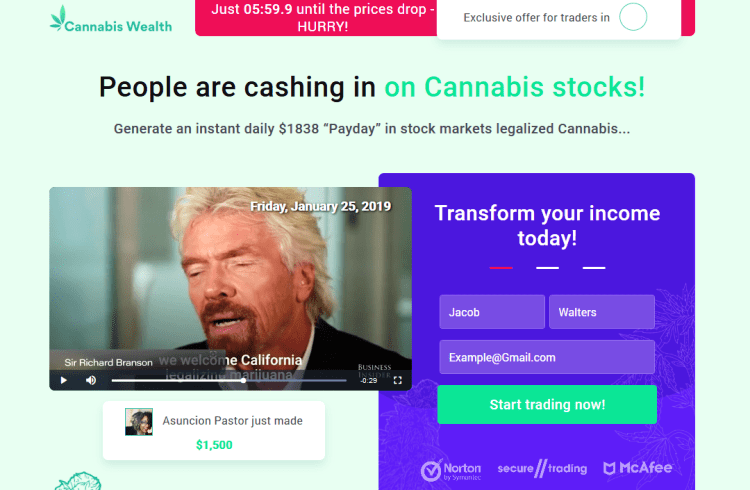 We can only assume that Cannabis Wealth App is just a get rich quick “funnel”, to get you to deposit money at some offshore, unlicensed broker. Real algorithm trading robots allow you, the investor, to configure all aspects of the software, before you make a deposit, see here. It is important for every investor to know, that your money is held at a broker, and if that broker is not licensed, you will never see your money again! 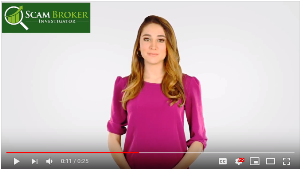 When you learn how these scams operate, you will understand why they recommended an unlicensed broker, read this article. If you are interested in trading CFD’s on Cannabis or Marijuana Stocks, you can find a current list of popular brokers here. Current users of this software are asked to please share with our readers the broker that Cannabis Wealth told you to use.